Conditions were right for a casting video on a fishing trip with Charlie to a local haunt where we are often skunked, but hey. We made a high Slow Skagit double Spey video Using my beloved Beulah Classic 12’7″ two-hander with a 500 grain Rio Skagit short, old model, 10′ of t14 which I hate on this rod, (I prefer t8 or t11,) or better yet a Scandi head and t8 tip, with a reasonably easy casting bug tied on. In this case, I used a Pic yer Pocket which is reasonable enough. The Casting is not elegant. I edited out tailing loops, collision loops, and blown anchors but included a few blowed anchors, slack, lots of slack at inappropriate times, and quite a bit of tailing loop tendencies in many of the casts. Nevertheless, a high slow sweep is a fun easy way to cast Skagit. It works best for me with really heavy flies and also works with lighter stuff too. 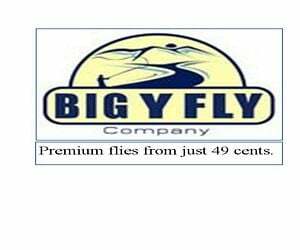 Give it a try if you are struggling with your Skagit Casting. Its fun, easy and works well. Oh, by the way, we tried every trick in the book, including gear, fished hard till dark, and still managed to get skunked, but it felt great to get out on the water and fish with Charlie. Thanks for watching. Peace, Out. Its good to see your emphasis on efficiency and consistency. Distance will come on its own to those who follow that path. 1) When using the out-and-around sweep, carefully watch the shape of the “loop” as the sweep begins, and work to keep the outwardly-bent shape consistent through the duration of the sweep (which keeps it’s tension continuous). That gets you into a D loop formation with the entire head evenly tensioned. 2) If you use a “high” stop at the end of the lift-over, try dropping the rod tip vertically to a lower sweep path at the same instant of commencing the sweep. This throws a “loop” of line out and around immediately (a good thing). This requires concentration and practice to get the timing right, but it will yield benefits. 3) If you initiate and maintain a sweep path outside the lay-down path (a good thing), it creates a right angle pull of the head in the air against the line remaining on the water. This helps to prevent dragging the anchor during the sweep, but still allows it to pivot. This also puts the largest portion of the mass of the head into a position where the caster can feel it “pulling” on the rod tip. The goal is to create momentum, not speed. 4) This may be controversial–resist using the shortest head-to rod-length combinations to learn on. Creating and maintaining line tension, timing, and casting force are more challenging the shorter the head-to-rod ratio. Someone pointed out that this sweep technique allows one to largely ignore current speed–that is correct, and a huge benefit.